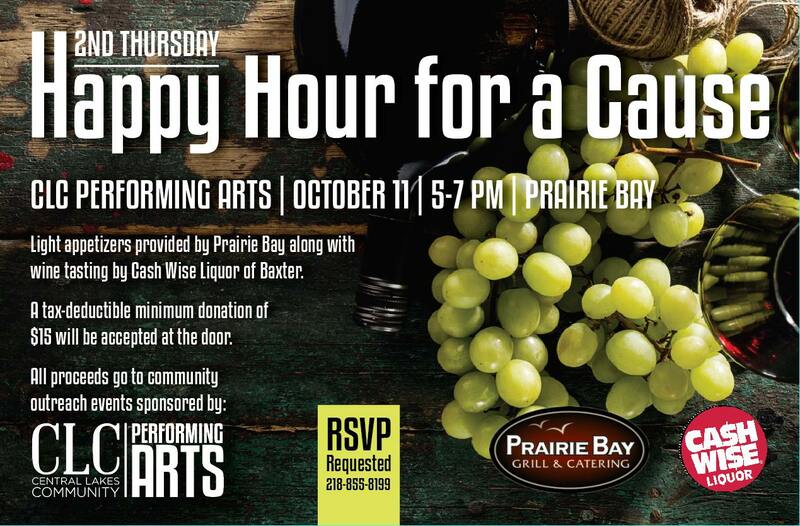 Join us for Prairie Bay’s 2nd Thursday Happy Hour for a Cause! October 11, 5-7 p.m. Light appetizers will be served along with wine tasting provided by Cash Wise Liquor. A minimum $15 per person donation will be accepted at the door. RSVP 218-855-8199. All proceeds go to community outreach events sponsored by CLC Performing Arts Center.